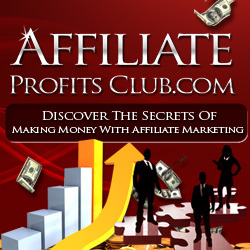 Affiliates: 5 Ways to Make an Extra $500 Every Week | Yenom Marketing Inc. Boil down all your efforts and there are essentially 5 ways that simple changes can earn you more money each week if you’re an affiliate. 1. Cut your costs. If you’re buying traffic, don’t rest until you find the highest converting traffic for the best price. 2. Increase the profit you make on each sale. If you’re a good affiliate who can bring the sales, ask product owners to pay you a higher percentage. It costs nothing to ask, and often times they’ll be happy to bump you to a higher level of pay because they know it still means more leads and more long term profit for them. 3. Get more traffic to the offers you’re promoting. If you’re always building your email lists, then you can mail your new promotions to those lists. The more you list build, the more traffic you can send. Create funnels with paid advertising that pay for themselves with the immediate commissions you earn, then continue to promote to these prospects while delivering value. You’ll become known as an affiliate who sends large quantities of high converting traffic, which can also help you with negotiating higher commissions. 4. Increase your conversion rate. As an affiliate you can’t do much about the conversion rate of sales pages, but you can still get more sales by doing the following: Become a trusted expert in your niche that people listen to. This way, when you recommend a product your readers will buy it, regardless of the sales page. Other tricks are pre-selling – that is, using your own emails, blog posts and presell pages to presell your readers before they ever hit the sales page. This method works hand in hand with being the niche authority they trust. 5. Build your list. I mentioned building your own lists earlier, but this needs to be touched on again. If you are sending traffic straight to an offer, you are missing out on the serious income you can earn by list building. When you send your traffic first to your own squeeze page and then to an affiliate offer, you can get paid to build your list. Then you work on building trust with your list and continuing to find great products you know they will love. What to do right now: If you’re not already building your own lists, start immediately. This is the single most important thing you can do to ensure you not only make more money, but also make money long term and in a stable, reliable and secure fashion. Remember, product owners can pull or change their offers any time they choose. But when you own the list, you own the power to send traffic anywhere you want, whenever you choose. And that is financial security.